Enjoy the Greenhorn Mountain scenery as young and old ride through scenic ranches surrounding Glennville. The trail ride will begin and end at the GMVA Rodeo Grounds. 4 Poker cards will be drawn along the trail route (approximately 2-3 hour ride). The 5th card will be drawn at the Souvenir Booth at the GMVA grounds where riders and spectators can purchase poker hands. 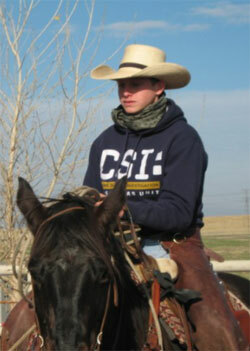 Each Trail Ride entry includes 1 Poker Hand and each additional poker hands can be purchased for $5.00. One lunch is included with each Trail Ride entry. Special “I survived the Midnight Ride” T-Shirts are available for Trail Riders for $10.00 with pre-entry by May 5, 2012. Free Dry Camping is available… 1st come…1st serve basis. Saturday evening includes a BBQ, Dance with Silent and Live Auctions. Starting time ~ following the Rodeo & Trail Ride Grand Entry. Trail ride will begin and end at the GMVA Rodeo Grounds. 4 cards will be drawn along the trail route (approx. 2-3 hour ride) The 5th card will be drawn at the Souvenir Booth at the GMVA Grounds. Release of Liability must be complete with signature for ride eligibility. Poker hands must contain all 4 unopened color coded envelopes that will be picked up along the trail ride. The 5th envelope will be picked up Saturday evening during the BBQ/Casino Games. Wild Card– If you draw a wild card, you have option to draw an additional card after the 5th card draw. Additional hands will be available for purchase after trail ride. Entrant is responsible for maintaining their Poker Hands. Standard Poker rules apply (according to Hoyle). Jackpots paid for top 3 winning hands. Poker hands will be opened and read by the Judges only.